the best flipbook system ever! Uploading... This can take several minutes. Select a PDF file. Maximum allowed size 512 MB. I understand and accept that Paperturn will only send me mandatory system emails regarding the billing, invoicing and functioning of my account. I would like to opt-in to receive product update and special offer emails. A flipbook is a converted PDF file. 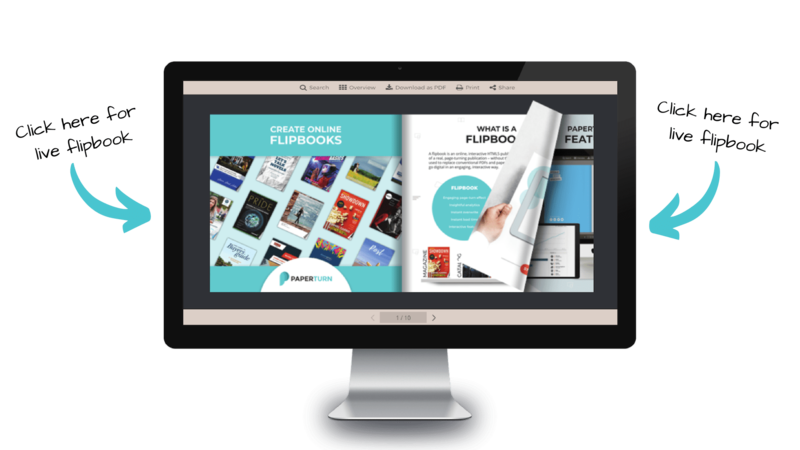 Paperturn converts PDF files into flipbooks, which are online interactive publications with an engaging page turning effect. Paperturn's online flipbooks support the latest digital platforms such as iOS systems, Androids and Windows mobile phones. Read more about what a flipbook is in detail. Normal PDF files are not ideally indexed for Google. Converting your PDF into a flipbook allows your file to be more easily found by a search engine. Paperturn's effects will be added to your Flipbook, which will make it stand out from a static PDF. The Paperturn editor allows you to easily exchange, move and delete pages. You can also insert links and videos. online magazines and menu cards. These are just a few of the categories where a flipbook would be a handy, modern and brilliant alternative to static PDF files. Flipbooks are very easy to create. 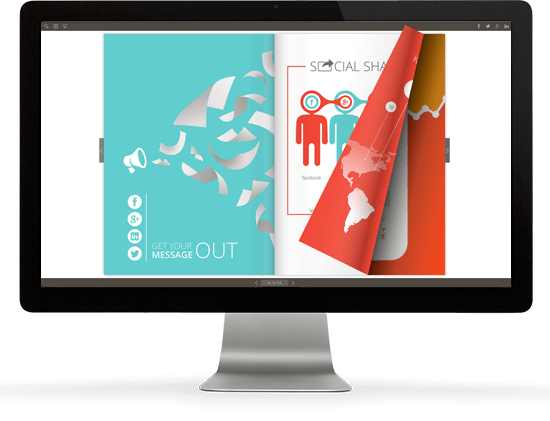 Just upload a PDF and within 2 minutes you will have an online flipbook. Paperturn provides several examples of different flipbook versions for your inspiration. Share PDF files on Facebook with deep linking and previews of your PDF. A PDF file will not normally be search indexed, meaning there is no possible way to send a link to specific page in a PDF. With a Paperturn flipbook, you can easily do that. Flipbook statistics enable you to track your viewer count as well as optimizing your flipbook for Google. You can also insert Google Analytics into your flipbook. "I have used Paperturn.com for a few years. For my own company but also for my customers. I chose Paperturn because it is easy to use and it has a lot of cool features that do not cost extra. Also, the big advantage of Paperturn is that your content will be indexed by Google. I would definitely recommend this to everybody who works with PDF files." "De-fence has used Paperturn for the last two years. It is very flexible and easy to work with. The user interface makes sure that everyone can easily adapt to the system. We have our Paperturn catalog attached as a link in every email we send out to customers. De-fence would always recommend Paperturn to others. It is so easy to use and our brochures look very professional!" "I have been using Paperturn for the last 3 years and couldn't be happier with their system. 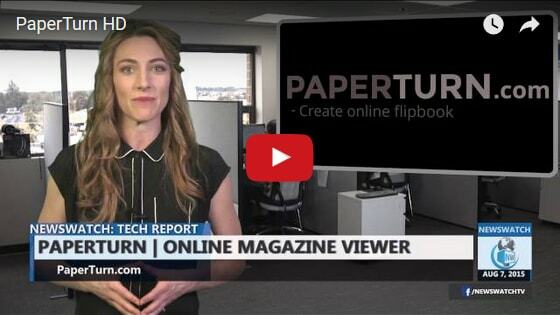 I've tried several flipbook systems but Paperturn is the best I could find. They've surpassed all of my expectations!" Have you spent a lot of money on printing and distributing brochures already? Why not save some of that money in the future?